The back of the finished book. Yesterday I went to Abiquiu and fished my water log of the Rio Chama out of the river. It had been soaking in the water for about three weeks. 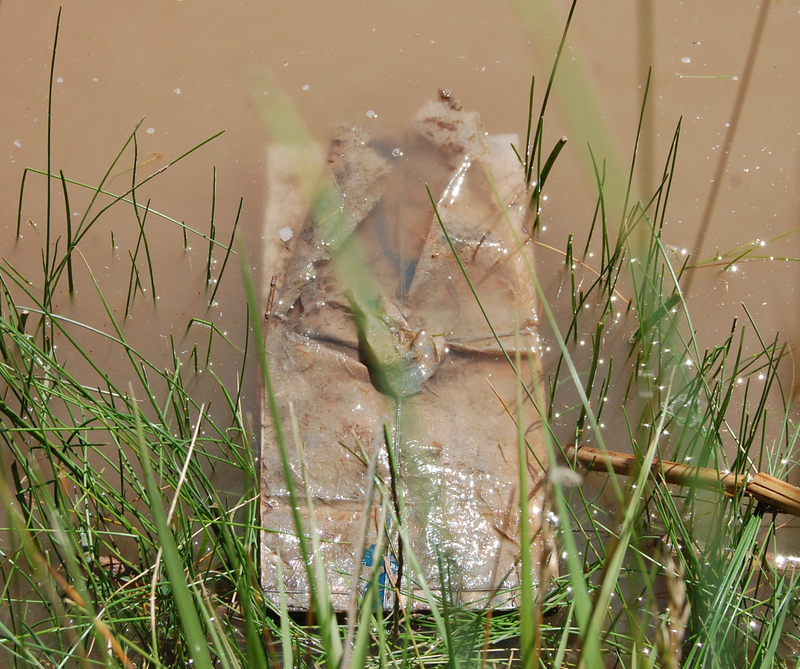 The tether had gotten snagged on some sticks and the book was totally submerged and beautifully encrusted with mud. 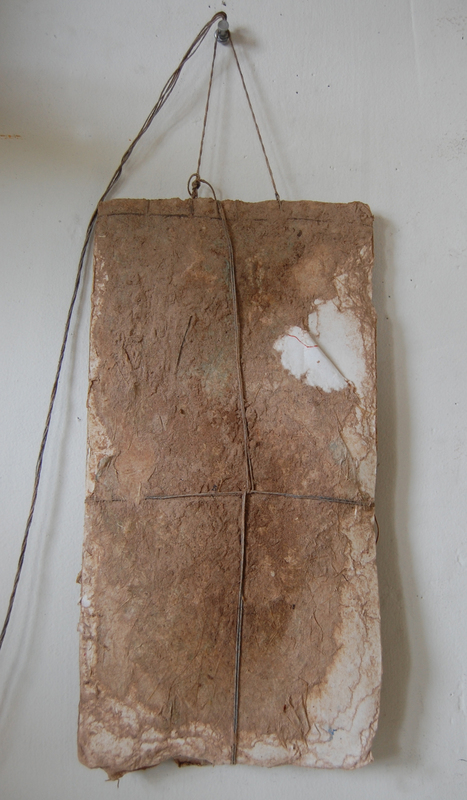 After going into the water and searching under the muck, I found the book and unraveled it from the sticks. 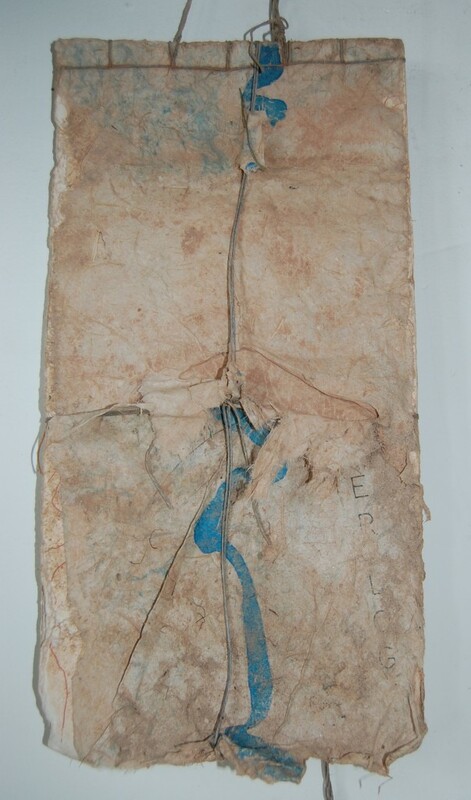 The interior of the book is pages of maps and logs of the Rio Chama. I want hints of the content to show, but I am planning on keeping the book “bound”. Here is the book in the water, and the finished book. "Rio Chama Water Log" soaking in the river. 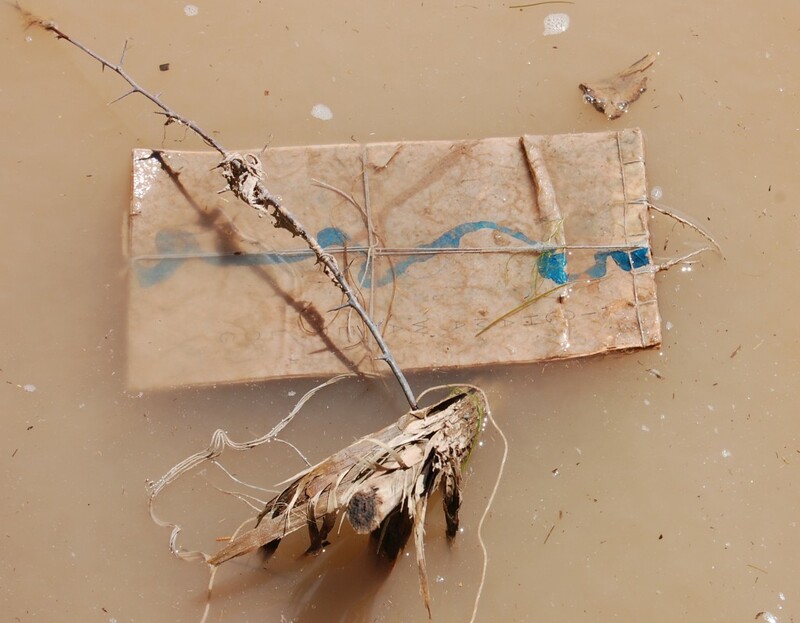 This entry was posted in Artists' Books and tagged artist's books, Chama River log book, encrusted books, map of Rio Chama, maps of rivers, Rio Chama, river logs. Bookmark the permalink.